Eyebrow Trimmer: Packed with 2 Eyebrow Combs (4mm, 7mm), can be used for trimming eyebrows, sideburns, other unwanted fine hair around face, arm, legs, bikini and etc., safe and efficient hair removal without hurt the skin. 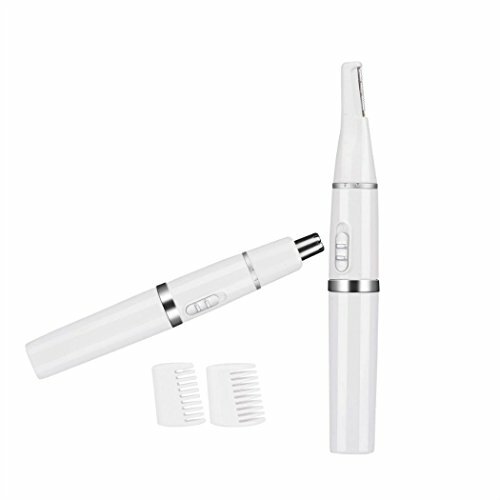 Nose & Ear Hair Trimmer: Sharp stainless steel blades, ergonomic and mini size design, low noise. Portable Personal Grooming Kit: Multi-functional, Applicable for both men and women. Suitable for travel use. Warranty: Wishesport provides 1-year warranty for all products. Contact with us if you need any of our help. We will reply within 24 hours.